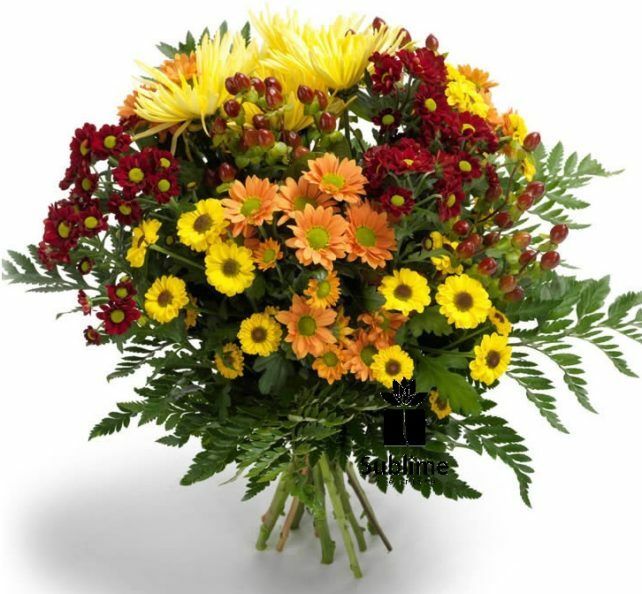 A beautiful blend of chrysanthemums, daisies and side flowers. Always appreciated, these flowers will last a long time. Substitutions may be necessary.